You’re about to discover how to cast the most powerful magic spells using an ancient system of divination called Geomancy. Casting spells using tools of divination may sound strange. It will make sense once I explain it from the beginning. It all started when spiritual beings transmitted sixteen figures to the prophets of old. These figures were formed by binary dots drawn on the sand. It was no accident. We built our entire modern civilization on the simple power of 0 and 1. You make use of this power every day with computers and gadgets. The same power can also be used in divination and to wield the most powerful of arcane spells. The ancients understood this and did just that. It wasn’t just the sages of the Middle East and Africa. The ancient Chinese captured much power and wisdom in a similar binary system called the I-Ching. The legend has it that it was the angel Gabriel himself who taught Geomancy to Prophet Enoch. Sages and wizards then started using them to lift the veil on the mysteries of life and to get genuine answers to their most pressing questions. Why do only a few people use it today, if the system is so amazing? The very few medieval English books that tackle the most rudimentary principles of Geomancy are missing a boatload of information and are filled with a basketful of inaccuracies. The average practitioner struggles to make it work and will then walk away in boredom. This is actually a big mistake, because they’re walking away from gold on the table. Once you possess all my secrets, you can walk away with this gold like a bandit. But, I’m not here to offer you another fortune telling tool, no, far from it. Geomancy may have evolved into a method of divination, but it started as something else. 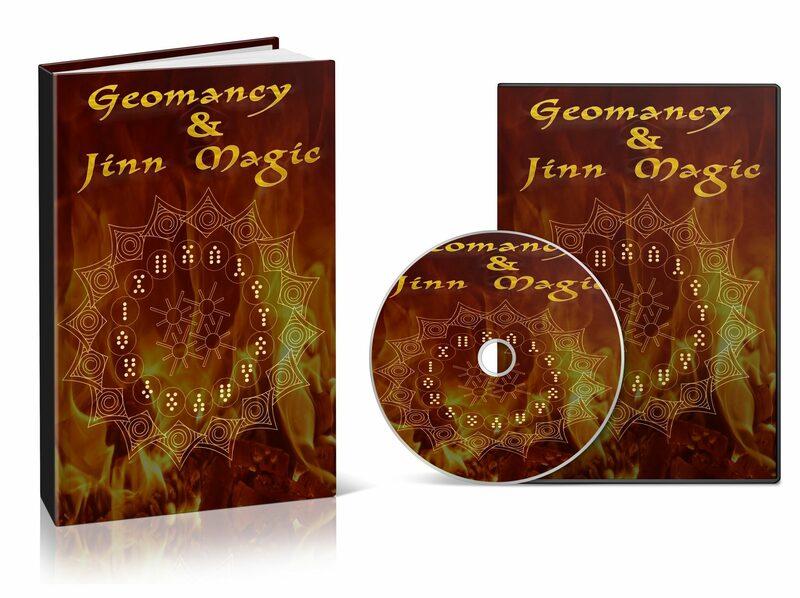 Geomancy is tied to the magic of an ancient and powerful race called the jinn. Only a handful know that Geomancy can be used to communicate with the Jinn and to summon them. When we transmitted a message to potential aliens forty years ago we also did it in binary code. It should come as no surprise that the Jinn would do the same when they have reached out to humans. The connection between jinn and geomancy isn’t a new hypothesis or wild claim. The ancient texts made a point to summon the jinn when trying to get an answer. Even modern magic schools like the Golden Dawn made a point to draw the sigil of the genii before starting the reading. The Golden Dawn even states outright that each figure has its own genii. It has always been understood that if you wanted to get an accurate reading you’ll need a connection with a jinni. Using geomancy to get answers from the jinn on the unknown is one thing. Getting the jinn to aid you with their power is another thing. The secret of using geomantic figures to accomplish just that is almost never taught anymore. •	Money and Wealth – Discover hidden opportunities you might have otherwise never noticed for gaining wealth, financial abundance and windfalls of cash. You might win the lottery, receive an unexpected check in the mail, or reach a new level of success! •	Love and Romance – Matters of the heart are no mystery to the Jinn. Gain another’s favor, attract a lost love into your arms, even find your soulmate. The Jinn are powerful beings who can transform your love life into a living dream of magic and wonder! •	Health and Wellness – Regain or maintain vibrant physical health, overcome medical conditions, alleviate crushing stress, utilize their cleansing power to wean yourself off of harmful drugs or even prescription medications! The possibilities are endless. You just need the secret. This is literally the first time such prized mysteries are being made available for general seekers. •	Properly summon the right jinni for your question. Each question has its own unique jinni. 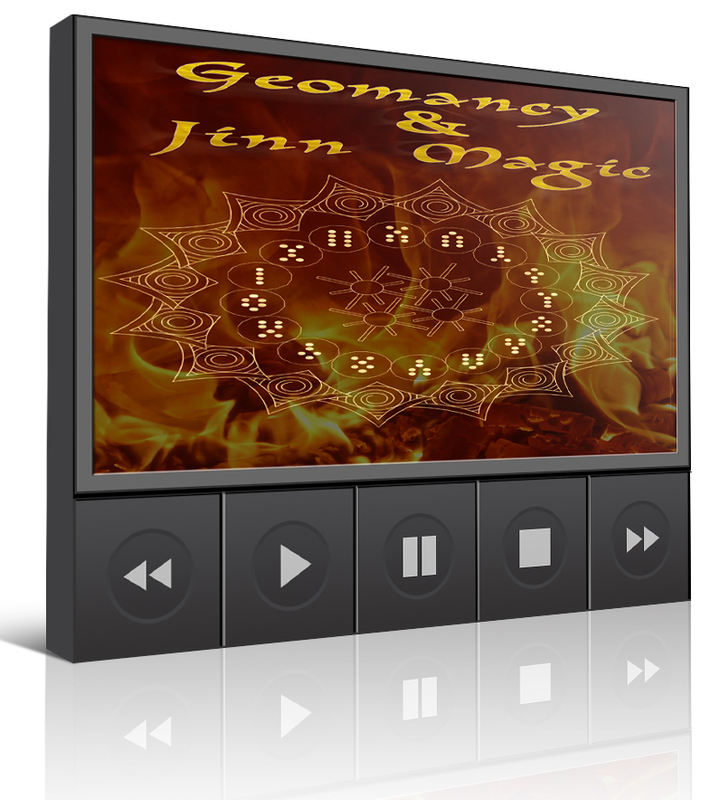 •	Get jaw-dropping accurate lay-out with the help of the jinn. Do it wrong and it is no better than a game of chance. •	Transform the geomantic grid to a powerful spell-casting board. Discover the exact names to use to unleash the power like a tornado. •	Interpret the grid with scalpel exactness to get the sharpest answers. No more general hazy interpretations. •	The right sequence for this jinn alphabet. It isn’t what’s in the English books. Use this to form magical talismans of intense power. Combine the above to create personally tailored magical spells that combines multiple aspects of magic together into one powerful punch. Knock the walls that have blocked you from attaining success and manifesting your dreams. Discover the answers to questions without having to doubt if it was nothing more than blind chance. This system is so easy that with minimal effort even a beginner can attain life-changing results. In a live webinar, I will show you step-by-step how to make it all happen. If you can’t make the webinar, a recording will be made available to you. I am here to guide you through your own spell casting efforts and jinn contact. The beauty of this is that it isn’t some simplistic general spells like the stuff you find on the internet. It is laser-focused and tailored just for you and your need. The beauty of this is that it doesn’t require complicated ceremonial magic tools and complicated rituals. We are using the simple binary code to get the attention of the jinn and enlist their aid. It is like sending an SOS with a morse code. Easy to learn and easy to do in an emergency and very effective. The beauty of this is that you don’t need to make pacts with demons or waste time on calling infernal forces in the hope that they will help you out. The right jinn for your exact need will be the one summoned and it will be summoned in safe and right-hand methods.